Are you laid off, downsized, undersized? Call us. We employ. 1-800-555-0606 How lucky do you feel? So reads the business card from LIMBUS, INC., a shadowy employment agency that operates at the edge of the normal world. 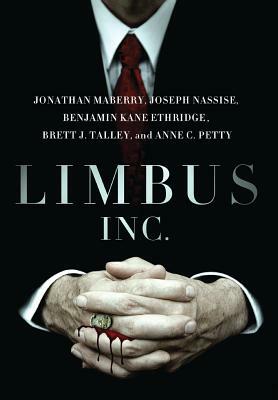 LIMBUS's employees are just as suspicious and ephemeral as the motives of the company, if indeed it could be called a company in the ordinary sense of the word. In this shared-world anthology, five heavy hitters from the dark worlds of horror, fantasy, and scifi pool their warped takes on the shadow organization that offers employment of the most unusual kind to those on the fringes of society. One thing's for sure - you'll never think the same way again about the fine print on your next employment application.